On the banks of Ho Chi Minh City's Xuyen Tam canal the houses come in many forms. Short or tall, pieced together from scraps of wood, or metal or plastic. Some tilt precariously over the polluted water's edge. 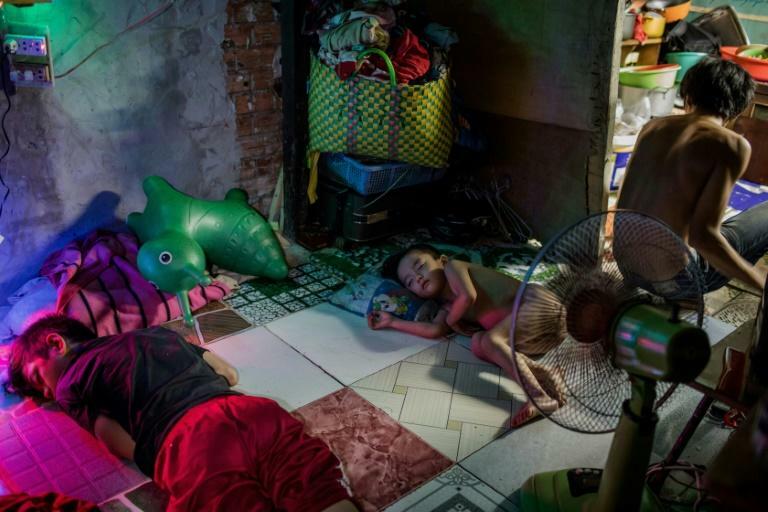 The makeshift homes are set to be demolished under long-promised government plans to redevelop the city's "black canals" -- nicknamed for the darkened hue of their waste-strewn waters -- where thousands live with no legal title to the land. That worries grandmother Nguyen Thi My, who for the past 28 years has lived on the downtown Xuyen Tam canal, eking out a living selling snacks. "It'll be a pity to move. I know this area well... and it's good for business," she told AFP from her busy home where she lives with family. It's a familiar woe in the city where land fights frequently flare up between residents and a government seen to be in the pockets of powerful developers. My's is one of 20,000 remaining households on Ho Chi Minh City's serpentine waterways slated to be demolished by 2020 as part of the city's massive renewal project that promises to replace some of the polluted canal banks with Parisian-style riverside promenades, paved roads, modern shops and buildings. Around 36,000 homes along the city's canals have already been cleared, forcing residents to move to the outskirts or accept compensation that is often lower than soaring market rates. Some canal dwellers like Le Thi Thanh are fed up with the trash -- and stench -- and say they'd happily move. 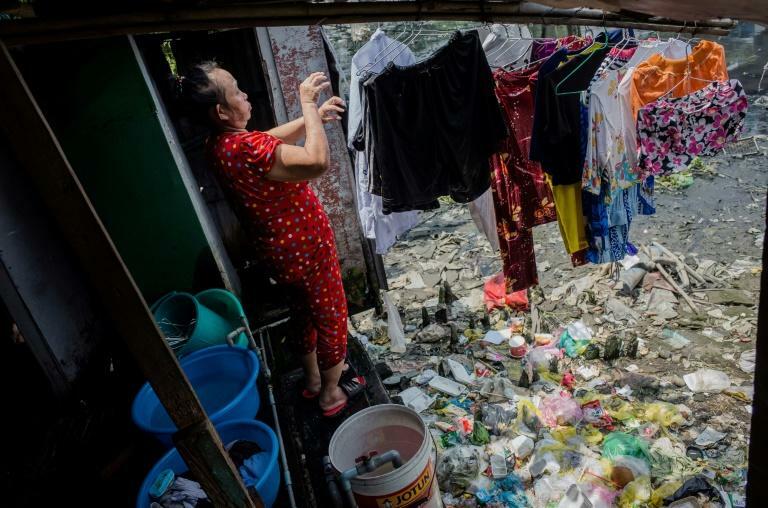 "People just throw trash and defecate in the canal, so we have to live with the pollution," 61-year-old Thanh, who has been on Xuyen Tam canal for 20 years, told AFP. Thanh runs a boarding house, mostly for rural migrant labourers, and sells lottery tickets from the slanted porch of her home pieced together with old wooden doors and metal sheets. 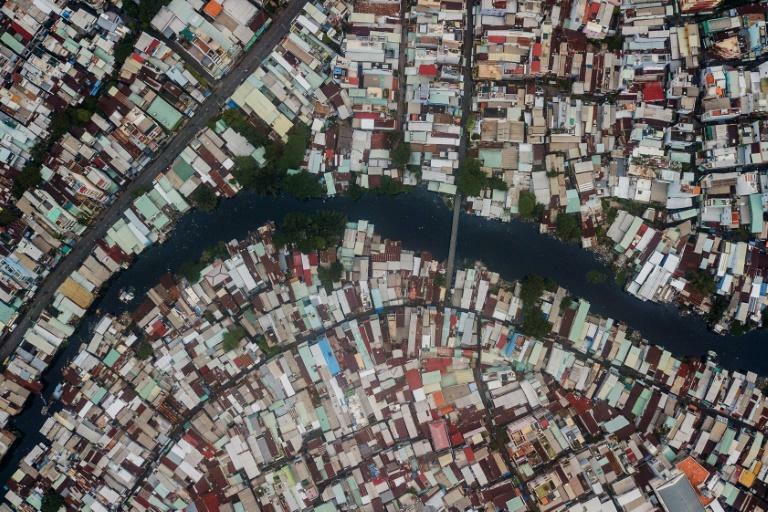 The canals of Ho Chi Minh City have not always been so coveted. Under the French, they were the city's main arteries used to move goods and people around, but as roads modernised and as the population boomed with war refugees in the 1960s, they became places to illegally settle. Today, the tide may be turning again. "There's a new elite that's emerging that's retransforming (canals) into an aesthetic place where you might sit and capture cool breezes and have views," Erik Harms, author of "Luxury and Rubble" about development in the city, told AFP. The relocations have not been easy for some former canal residents like Nguyen Van Muc, who said he was forced to move into government housing three years ago. His new house, though outfitted with ceramic tiled floors and plastered walls, is half the size of his old clapboard model on Nuoc Len canal -- and 20 kilometres (12 miles) away. "I've sent several complaint letters to central and local authorities but received no response," the former police officer told AFP.